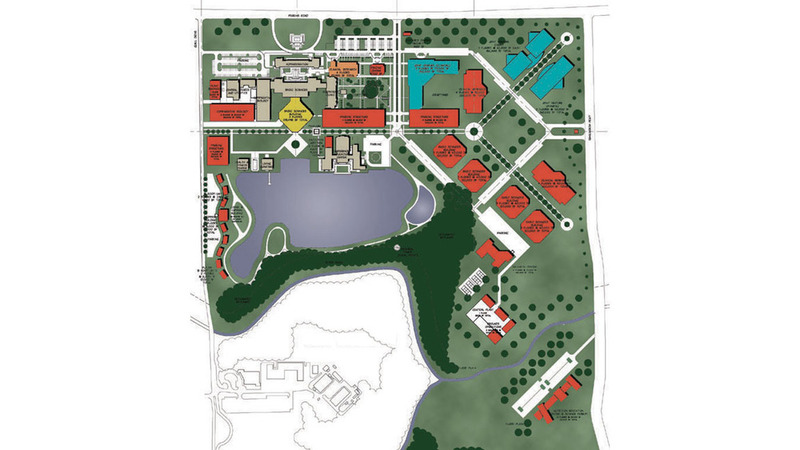 This long range Master Plan is for Pennington Biomedical Research Center in Baton Rouge, LA, one of the fastest growing research facilities in the country. A Joint Venture with Washer Hill & Lipscomb Architects, this 30-building, 30-50 year plan creates multiple building types, or "zones", within the existing modernist campus. The building types are divided into Basic Sciences, Clinical and Behavioral Sciences, Comparative Biology, Joint Ventures, and buildings which will serve the faculty and community at large. A Basic Sciences Building (see Healthcare projects) was completed in 2003, and a Clinical Sciences Building is scheduled for completion in 2005.